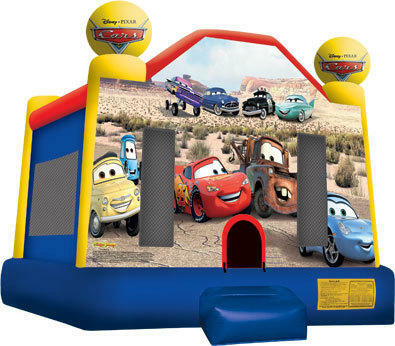 Kids will love this bouncy house, with Lightning McQueen, Mater, and the rest of the popular movie characters! 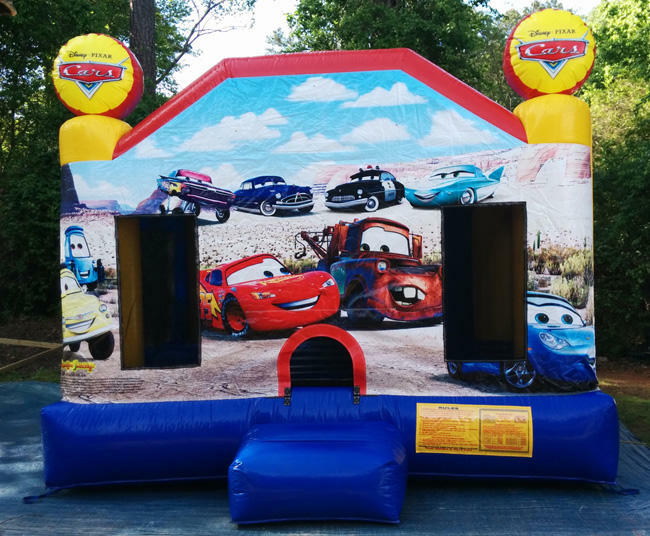 Young party guests will imagine they are right in the race for the Piston Cup at Radiator Springs when they jump in this castle! Up to 10 children can bounce at a time in this 15x15 jumper.